It’s been another busy year for new staircase designs and installations at Jarrods, and we already can’t wait to get stuck into next year’s projects. As we move closer to 2018, we can’t help but think back to what a year 2017 has been. It’s been one of our busiest and most successful years to date, so we thought we’d take a look at everything that’s happened over the last 12 months. 2017 has been non-stop for us. 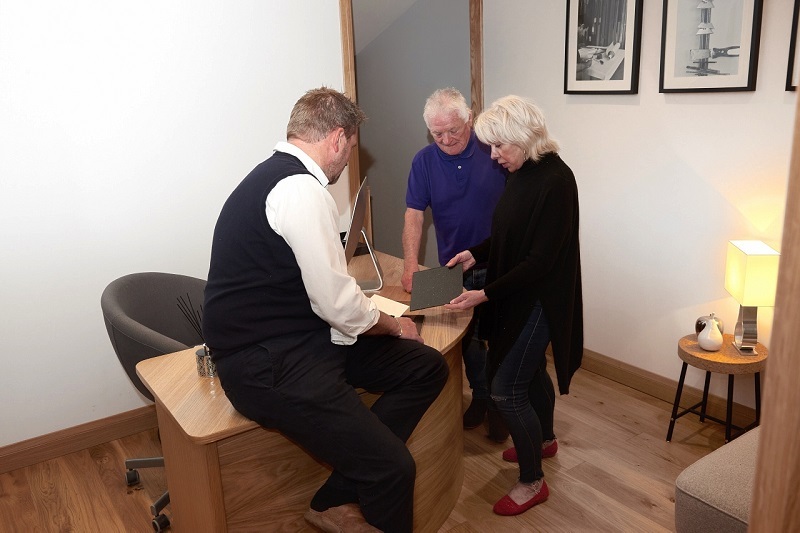 From staircase renovations to bespoke furniture creations, it’s been a busy year for our team, but it’s more than worthwhile when we see our customers’ reactions. We’ve been fortunate enough to work on some innovative designs this year, and we’ve pushed the limits of own imaginations. You can see more of our customer stories here and read about how we’ve helped them to achieve their design goals. It might just give you the inspiration you need to start your own project. We believe that your staircase should be the heart of your home. As the focal point of your interior design, it’s important that your staircase pushes the limit of your imagination whilst also remaining practical. As such, we’re always looking for new ways to innovate and to help our customers make an impression. This year, our technical designer, Ben, pushed the boundaries and helped to create our brand new helical Kubos range. Using our Kubos ‘floating boxes’, Ben tested the limits and used them to create a helical design. The new design allows us to create unique, floating staircases that don’t need to be attached to a wall. The end result is ultra modern, and it’s something that hasn’t been seen on the staircase market before. 2017 has seen a host of new introductions to the Jarrods’ team. We’ve had some new faces in the form of a new designer, a new French polisher and a new apprentice. With all of our new starters, there’s also been room for our existing staff to grow. Rhys, one of our fitters, is now training to be a surveyor. Such strong growth has also allowed us to invest in a new van and a new HQ! Now that we’ve got our new starters, new vans, newly trained staff and a new base of operations, we’re ready and waiting for our new customers. For us, the service doesn’t stop at payment. We give all of our customers a 10-year guarantee on the staircases we build, but we wanted to do something more to ensure that our customers were able to make the most of their staircases whilst ensuring they lasted for years to come. 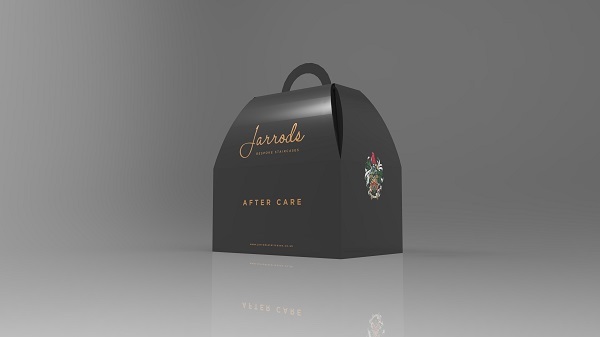 As such, we were delighted to launch our aftercare packages earlier this year. 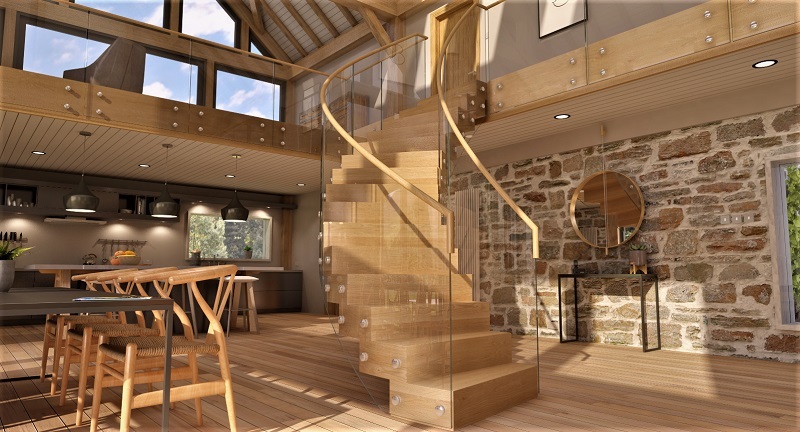 Whether you’ve opted for a glass, metal or wooden creation, we’ll give you everything you need to care for your staircase long after out installation team have left. If your new year’s resolution is to create an interior that you’re proud of, get in touch with our team today.